As our ever so painfully British summer retreats, and we once again dust off our timetables, focus switches to Theresa May. Parliament is set to resume on September 5th and after very shaky, and somewhat desperate end to the year, Mrs May’s schedule for the first week back is jam packed. Urgent – Get Tories to like me!!! 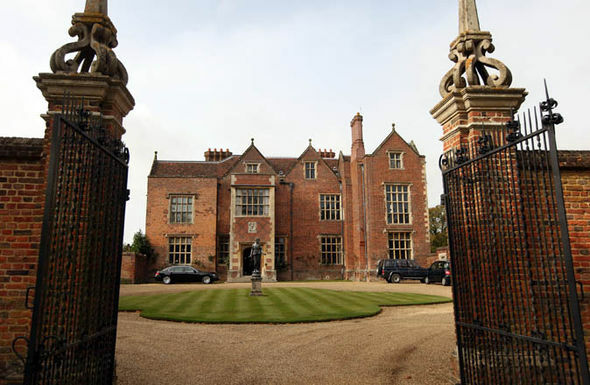 Well I say first week back, according to The Times, over the summer, Theresa May has held a series of "prosecco and canape" bashes at Chequers, the prime ministerial country residence in Buckinghamshire – often used to host foreign diplomats. Reports say up to 100 Tory MPs have attended these gatherings, organised by May to schmooze backbenchers, increase support, and bolster her leadership for what will certainly be a political slog in the coming months. No matter how hard one tries, it is hard to ignore the burning stench of desperation in such acts, but Theresa May is, indeed desperate. Mrs May has been under increasing pressure from Conservative colleagues since she embarrassingly lost her majority on June 8th, with fleeting influence May was stuck with two options, rely on support forged from a lightweight agreement with the insolent DUP, or roll out the red carpet, bend backwards, and forwards to the orders of her party. It seems she chose the latter. It has been fairly easy for me to forget about the gigantic Brexit shaped whole threatening our existence. I doubt, or at least hope it hasn’t been the same for May. Her Brexit plan, so far, seems to be a little tangled. There seems to be no real direction in Britain’s negotiations. May trots one of her Cabinet minister out to declare the Governments next Brexit goal, which is usually swiftly shut down by the EU, from there the Government will backtrack and reissue statements. The goal here is clear. Get Britain out of the EU without totally destroying the country, I don’t know how she’s supposed to do it, but thankfully that isn’t my job. The state of this country, which is, probably, the last issue on May’s agenda ironically is her most pressing. The two-aforementioned help her consolidate power, but power worth little if the country’s people are crushed. Attack after attack, the air has changed, Sadiq Khan’s cries for unity cannot distract from what I hear on our streets, or read in our papers. America all but fell in Charlottesville I often wonder if we will soon follow suit. The tragedy of Grenfell continues to haunt me as I imagine it will for the rest of my existence. Injustice has never been clearer in this country, and bold change is the only answer. If that does not come I cannot imagine anything but rage to follow.